For every paid of shoes sold, TOMS provides shoes to a child in need. The philanthropic company is now providing a similar movement for glasses called "One for One." For every pair of TOMS sunglasses purchased, "sight" will be given to a person in need whether it&apos;s through medical treatment, prescription glasses, or surgery. The sunglasses come in great styles and feature colorful stripes on the legs which will make you feel even better about wearing them. 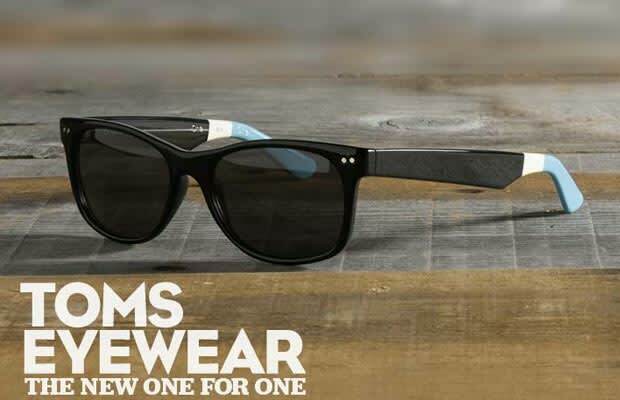 To read more about One for One and to buy the shades, check out TOMS website.